Every now and again we all become a little tired of our interior surroundings but buying into a new suite, dresser or table isn’t the most feasible option. If you’re considering modernising a certain room in the household but feel your existing furniture is too traditional, don’t worry. There are a number of inexpensive ways to bring your current furnishings to life. Adding a simple coat of matte paint to a tired dresser will instantly update it. You’ll need to begin this task by thoroughly sanding the surface of the dresser but once you have cleaned and primed the shell, you can then paint it in any colour you desire. Adding a different handle to the drawer will enable you to add your own individual touch. If you’ve had your eye on a new dining room table for quite some time now, you have two options. You can either give the old table away or alternatively, you can sell it. Sites such as eBay will allow you to sell unwanted items of furniture and DeliveryMatch will help you find an ebay courier. This is a great help to those that wish to transport these items further afield. Both costs and time can stand in the way of re-decorating, it is however important to spruce up your living space at least once every five years. 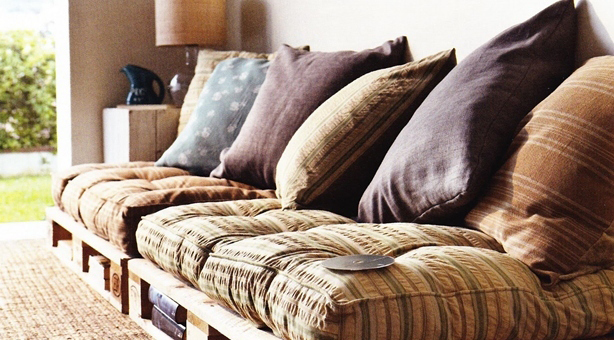 Rather than working around furniture you may have inherited, let it work with you. If the ultimate feel of your home is contemporary use clever decorating techniques to alter the style of an existing piece. A large majority of the population are secret hoarders and without sufficient storage rooms can soon appear cluttered. You may wish to use shelving systems to display a few attractive objects and a back storage system for keepsakes. Light can make or break a room and the clever use of lighting can style small spaces to look larger than they actually are. A spot lighting system will also enable you to illuminate certain feature points. Considering the practicality of your key pieces is a must. It is wise to invest in items that look good but also have a function.